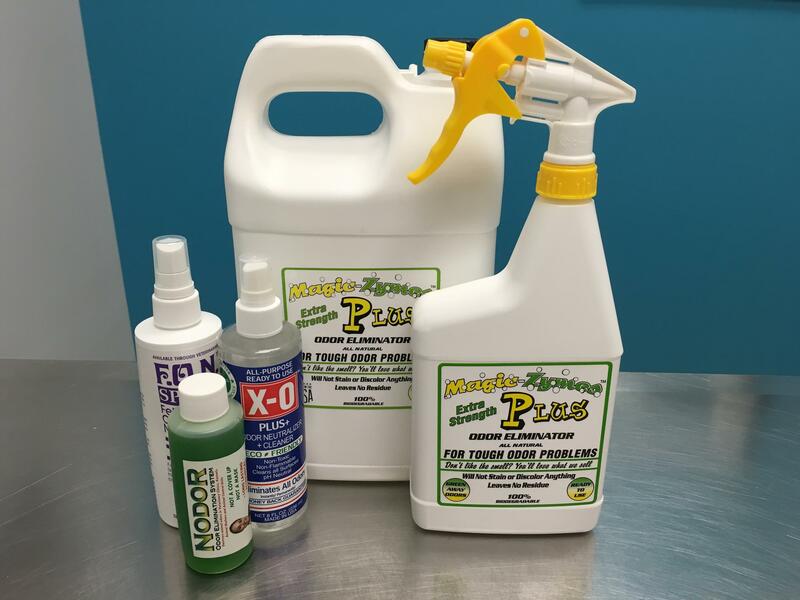 Magic-Zymes is an enzyme based stain and odor remover. It is safe, environmentally friendly and offers a myriad of uses including: cleaning odors and stains out of upholstery, clothing, trash cans, etc. Magic-Zymes can be used in the fabric softener section of your washer to remove stains and odors from laundry and can also be poured into a votive-type vessel and allowed to dissipate to absorb odors in the home. It is quite versatile which is one of the reasons we love it so much! 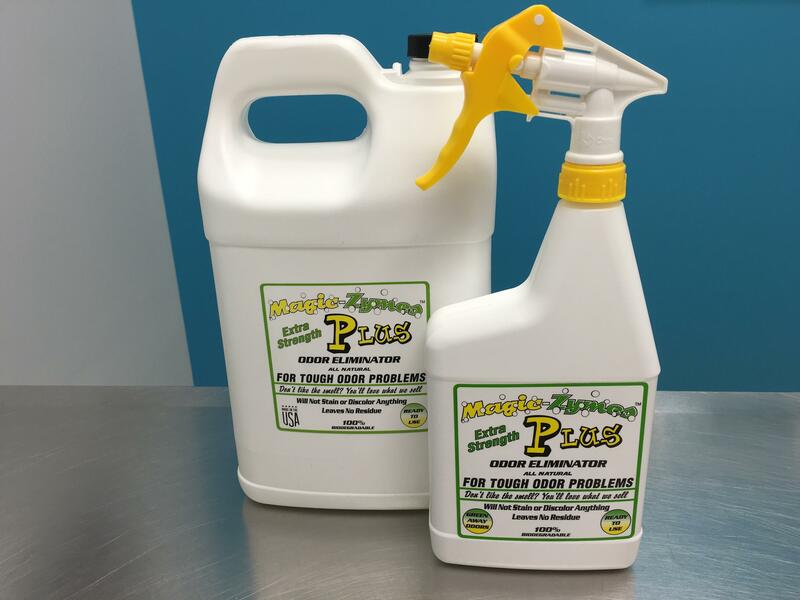 Available in both 1 gallon or 32oz spray bottle. Safe and effective enzymatic cleaner.